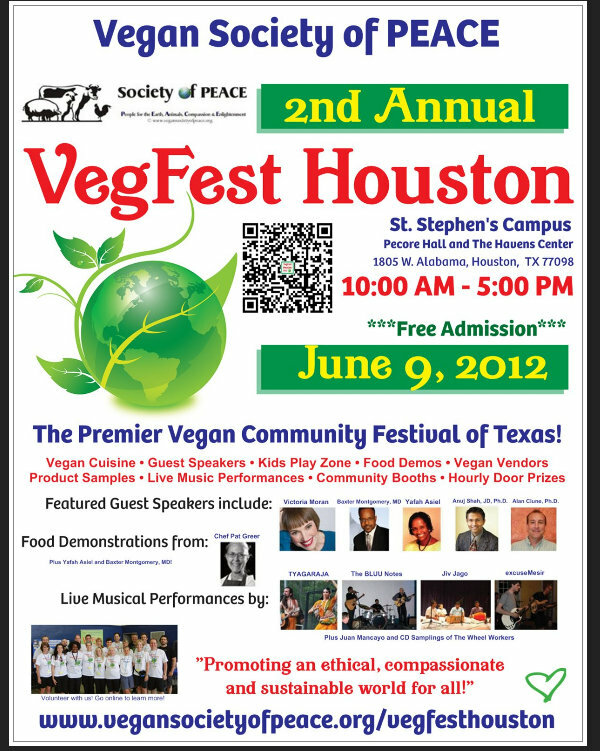 Share our VegFest Houston 2012 Posters and QR codes on your Facebook pages, Twitter and blogs! See our press releases and media links below. To inquire about media interviews, please email us or call our message line at 832-3030-VEG.